Earth Day is in the Spring Every Year. Earth Day was started in 1970 by a man named John Mc Connell from the United States. It was originally held on the annual celebration of the March Equinox and still is by many people. However, it is generally celebrated on April 22. Earth day is now celebrated worldwide. 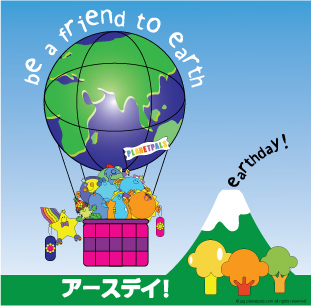 The UN designated April 22 Earthday and April earth month. Earth Day is a very special day specifically designed for all of us to think about earth issues . It is not only a special day in the town where we live, but a day that the whole world participates in! Often there are celebrations, events or campaigns that concern us with earth matters. Some cpncerned citizens, countries and townds have Earth Day celebrations, and some people and groups participate in Earth Day projects. You can participate in one of the existing projects, or start one of your own. Perhaps a small project with your mom or dad such as planting a tree, or a large project with your classroom or neighborhood friends such as a park clean up. The possibilities are endless. Try to think of something you would like to do-you too, can make a difference! 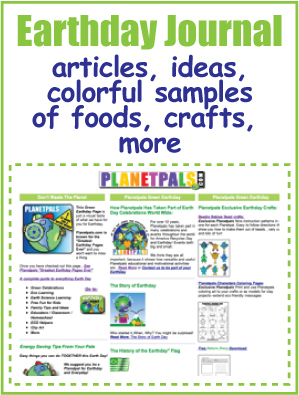 Don't miss our Earth Day Pagesfor special fun activities, crafts and games to do in celebration of this Earth Day! It's jam packed! 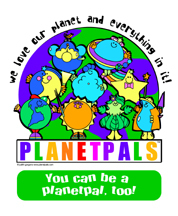 Of course Planetpals makes EVERYDAY EARTH DAY for you! 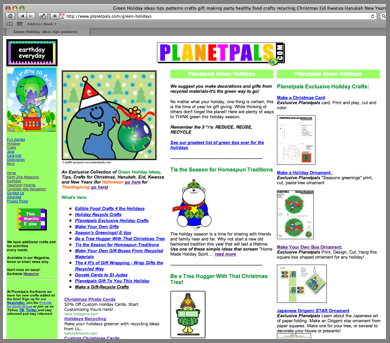 Learn many things for and about Earthday with our fabulous list of Earthday Learning Pages for Kids and Everyone else!